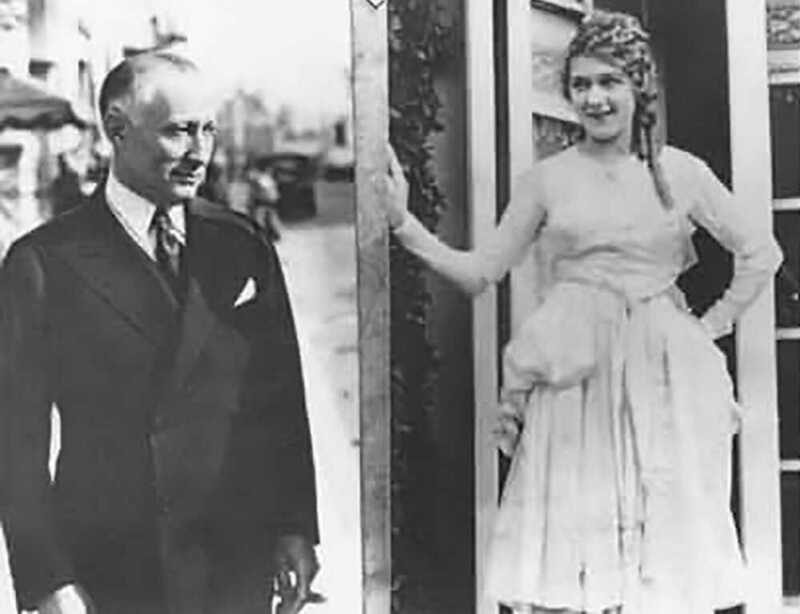 Adolph Zukor was one of the first people to make big profits in the movie business. He realized that the three elements of the film business -- production, distribution, and exhibition -- were financially dependent on each other, and could be increased by opportunistic mergers. Zukor's ambition would propel him to the leadership of one of Hollywood's most powerful companies, Paramount Pictures. Born in Ricse, Hungary, in 1873, Adolph Zukor was orphaned by age seven. He was sent to live with his uncle, Kalman Liebermann, a rabbi who hoped Adolph would follow in his footsteps. Zukor knew from a young age, though, that he was destined for the world of business. "I had the devil of a time persuading my uncle ... that I wasn't cut out for the theological calling," Zukor would later recall. Like hundreds of thousands of Europeans at the time, Zukor followed his ambitions to the New World. He managed to get himself to New York by the age of 16, resolving to work hard to make his way. Soon he landed a $2-a-week job sweeping floors at a fur store. In the evenings, he studied English and business. In 1892 he went with a friend, Morris Kohn, to Chicago, and together they opened their own fur business. His business was successful, and soon Zukor had enough money to try other ventures. He and Kohn moved their company to New York in 1900. They got involved in running a penny arcade that featured phonographs and short movies. A new medium, the movies were becoming popular, and Zukor decided to invest in a nickelodeon theater, "Hales' Tours of Kansas City." Zukor's investment was risky; in the early days, no one was sure what consumers would watch. Audiences for his "tours" sat in converted train cars and viewed moving footage of landscapes accompanied by the sounds of a train. Initially, the idea was extremely popular, but the novelty wore off, and Zukor lost money on the venture. But for him, the loss was only a slight setback: he continued to open nickelodeon theaters with a fellow fur merchant, Marcus Loew. Loew and Zukor's company, Loew's Enterprises, adapted ordinary shops to serve as film exhibition halls. The makeshift theaters attracted audiences, but Zukor faced innumerable challenges in getting the exhibition rights to films. His frustrations led him to a single conclusion: he would have to produce films himself. He would soon pursue his vision of creating feature-length plays for the screen. Zukor embarked on a partnership with Broadway producer Daniel Frohman, and together they secured the U.S. rights to show the French-produced film Queen Elizabeth, starring one of the day's biggest names, Sarah Bernhardt. The partners targeted a wealthier clientele than those who frequented the nickelodeons, seeking to create an event with cachet. Their investment paid off when New York society elites attended the premiere at the Lyceum Theater on July 12, 1912. A handsome profit from the film's tour helped the partners launch their own production company, The Famous Players Film Company, in 1912. The company shot plays for the screen, and Zukor continued to prosper in the booming industry. W. W. Hodkinson, a forward-thinking businessman, established the Paramount Pictures Corporation in 1914 to act as a distributor for multiple film producers. Paramount advanced Frohman and Zukor production funding in exchange for a steady stream of films for distribution. Famous Players fell under Paramount's jurisdiction, along with another major producer, Jesse Lasky's Feature Play Company. In 1916 Famous Players merged with Lasky's business to become Famous Players-Lasky. Meanwhile, on the distribution side, theater owners consolidated their holdings by creating theater chains. Zukor kept a hand in both sides of the business. His company invested in the chains, which empowered him to present his own films in the theaters, and he purchased stock in Paramount to protect his interests. Zukor seized the momentum from profit-bearing mergers and proposed to Paramount's board that Famous Players-Lasky join Paramount to form an even stronger entity. His idea fell on receptive ears, and he became the new president of the conglomeration, which was now a subsidiary of Famous Players-Lasky. In the 1920s the company dropped the name Famous Players-Lasky and became Paramount Pictures. 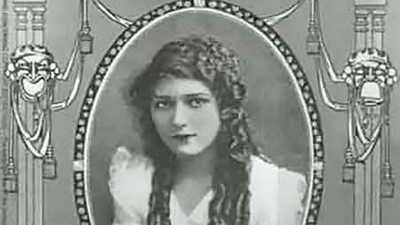 One of Zukor's shrewdest decisions was to offer an up-and-coming actress, Mary Pickford, a contract. The combination of her popularity and his business acumen increased their collective influence. Zukor endured endless salary negotiations with Pickford and her mother, Charlotte, during the years of their collaboration. Zukor remembered Pickford saying, "You know, for years I've dreamed of making $20,000 a year before I was 20, and I'll be 20 very soon." "I could take a hint," he recalled. "She got the $20,000, and before long I was paying her $100,000 a year. 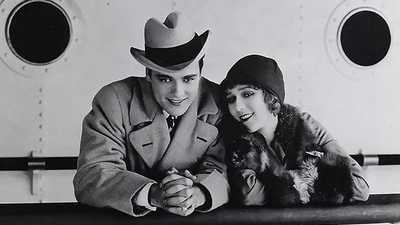 Mary was a terrific businessman," Zukor reminisced. In 1935 Zukor became Paramount's chairman. He continued to foster the growth of a media empire. His great contributions to the film industry earned him an Academy Award in 1948. In 1976, the former immigrant, self-made fur merchant, nickelodeon investor, and film business pioneer died at age 103. 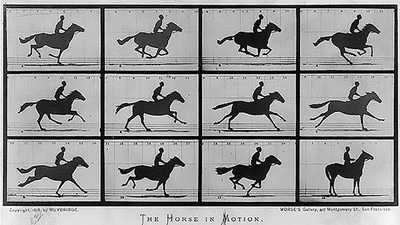 Several inventors came up with a simple toy that made it possible for a series of pictures to be viewed in rapid succession, creating the illusion of motion.